This Sunday, May 15 marks the 68th anniversary of the Nakba, or “catastrophe,” when the state of Israel was created in 1948. Driven by the racist and settler-colonial ideology of Zionism, the newly established state and its armed forces displaced over three quarters of a million native Palestinians, and committed massacres that wiped out entire villages. Yet after decades of colonization, ethnic-cleansing, apartheid, and imprisonment, we honor the resilience of the Palestinian people, as their commitment to liberation and returning to their land remains as steadfast as ever. We at CR understand that our work to abolish the prison industrial complex (PIC) is part of global struggles for liberation. Because Israel has built itself up as a military state, it plays an “expert” role globally in developing and sharing repressive tools and tactics that are “field tested” on the Palestinian population. Along with the U.S., Israel also has one of the highest imprisonment rates in the world, with around 800,000 Palestinians imprisoned at some point since 1967 – about 25% of the population. Because of Israel’s fundamentally repressive role against Palestinians and movements worldwide, the fight against the PIC must also include anti-Zionism. 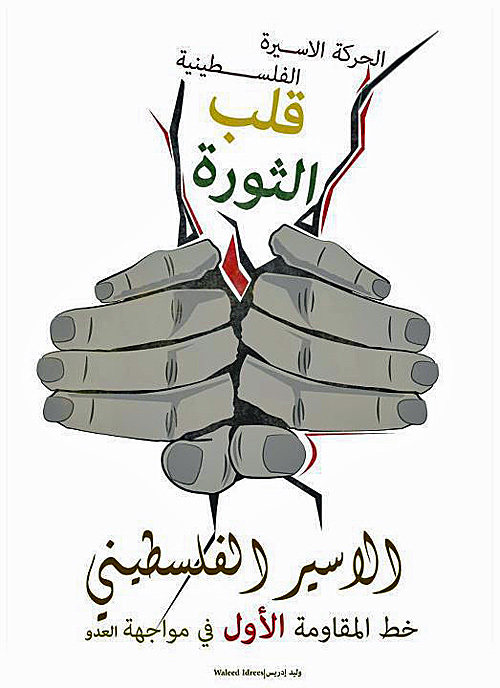 | Image: “The Palestinian prisoner movement is the heart of the revolution.” Poster by Waleed Idrees.